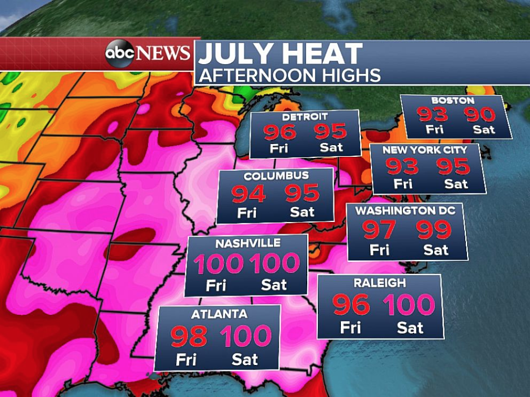 This week over 60 million Americans across the Northeast faced heat warnings or advisories from the National Weather Service as record temperatures swept the region. News headlines called the weather “deadly” and “dangerous”, while experts gave consumers advice on how to keep safe. The heat was so intense for so long that seniors were evacuated from their homes, homeless shelters were closed, community cooling centers were set up, and health officials warned that playground equipment could burn children. And of course, the increased demand caused by all those newly purchased window AC units put tremendous strain on the electrical grid and caused neighborhood outages. Utilities talked about the heatwave—there were press releases, social tips on how to keep safe and comfortable, product offers, and even warnings of blackouts unless folks curbed their usage. Our POV: While “in-the-moment” communications are crucial during weather events that could impact customer service, there’s a much bigger opportunity for utilities and the entire energy efficiency industry right after a major heatwave. Well, we know that the average consumer doesn’t believe their utility would want them to use less energy; it just isn’t intuitive. Why would the company that sends me a bill for how much electricity I use want me to use less of it? This lack of faith is a hurdle that we hear repeatedly as a barrier to program participation. But next week, with the memories of sleepless nights and sweat-drenched afternoons fresh in the minds of 100 million Americans, the industry has an opportunity: to talk about why energy efficiency is important at a macro level, to communicate the benefits of a reduced load in a meaningful way, and to highlight how these benefits not only serve individual needs, but also support local communities and economies. If we can collectively get that message right, then by the next time our customers get an offer on a new product from a utility—whether that be an EV charging station or rebate on a Wi-Fi thermostat—they’ll be that much more likely to buy in. Not sure where to start or what to say? Let’s talk. Tucker Wright, KSV Director of Strategy, has over five years of sustainable energy marketing experience, working closely with energy efficiency products, services and utilities. Tucker and his team work with the agency’s top energy clients to develop KPI-driven marketing communications plans to implement programs that breakthrough to the target audience and generate real business results. Read more from Tucker here.